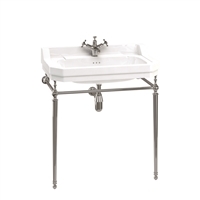 The Burlington Edwardian 51cm Cloakroom Basin with Basin Stand has a traditional appearance, lovingly crafted and hand finished with exceptional care using the finest materials and manufacturing processes. The Burlington Victorian 560mm Basin with Basin Stand has a traditional appearance, lovingly crafted and hand finished with exceptional care using the finest materials and manufacturing processes. The Burlington Victorian 610mm Basin with Basin Stand has a traditional appearance, lovingly crafted and hand finished with exceptional care using the finest materials and manufacturing processes. The Burlington Edwardian Round 560mm Basin with Basin Stand has a traditional appearance, lovingly crafted and hand finished with exceptional care using the finest materials and manufacturing processes. 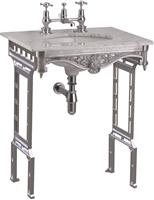 The Burlington Contemporary Basin with Basin Stand has a traditional appearance, lovingly crafted and hand finished with exceptional care using the finest materials and manufacturing processes. The Burlington Edwardian 560mm Basin with Regal Stand has a traditional appearance, lovingly crafted and hand finished with exceptional care using the finest materials and manufacturing processes. The Burlington Edwardian 610mm Basin with Basin Stand has a traditional appearance, lovingly crafted and hand finished with exceptional care using the finest materials and manufacturing processes. The Burlington Edwardian Round 560mm Basin with Regal Stand has a traditional appearance, lovingly crafted and hand finished with exceptional care using the finest materials and manufacturing processes. The Burlington Victorian 560mm Basin with Regal Stand has a traditional appearance, lovingly crafted and hand finished with exceptional care using the finest materials and manufacturing processes. 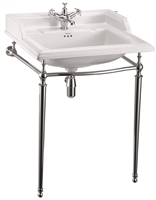 The Burlington Small Roll Top Basin with Stainless Steel Stand has a traditional appearance, lovingly crafted and hand finished with exceptional care using the finest materials and manufacturing processes. 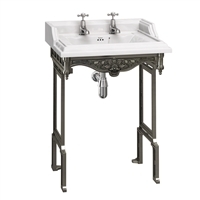 The Burlington Edwardian 800mm Basin with Basin Stand has a traditional appearance, lovingly crafted and hand finished with exceptional care using the finest materials and manufacturing processes. 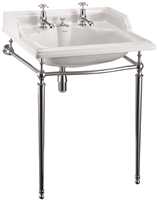 The Burlington Classic 650mm Basin with Chrome Basin Stand has a traditional appearance, lovingly crafted and hand finished with exceptional care using the finest materials and manufacturing processes. 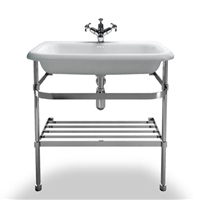 The Burlington Classic 650mm Basin with Invisible Overflow & White Aluminium Stand has a traditional appearance, lovingly crafted and hand finished with exceptional care using the finest materials and manufacturing processes. 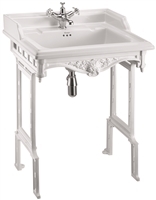 The Burlington Carrera Marble Top and Basin with Basin Stand has a traditional appearance, lovingly crafted and hand finished with exceptional care using the finest materials and manufacturing processes. 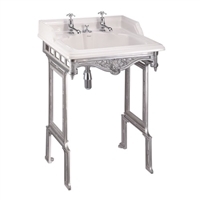 The Burlington Carrera Marble Top and Basin with Polished Aluminium Washstand has a traditional appearance, lovingly crafted and hand finished with exceptional care using the finest materials and manufacturing processes. 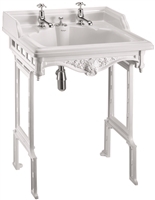 The Burlington Carrera Marble Top and Basin with White Aluminium Washstand has a traditional appearance, lovingly crafted and hand finished with exceptional care using the finest materials and manufacturing processes. 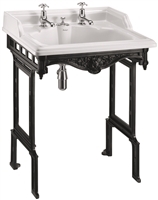 The Burlington Carrera Marble Top and Basin with Polished Aluminium Washstand with Shelf has a traditional appearance, lovingly crafted and hand finished with exceptional care using the finest materials and manufacturing processes. 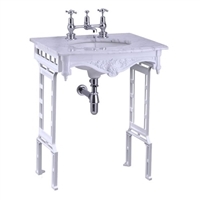 The Burlington Carrera Marble Top and Basin with White Aluminium Washstand with Shelf has a traditional appearance, lovingly crafted and hand finished with exceptional care using the finest materials and manufacturing processes.